Research by western scientists suggests that acupuncture stimulates the nervous system to influence the production of hormones and neurotransmitters, resulting in biochemical changes that activate the body’s natural healing ability. Acupuncture predates contemporary medicine by thousands of years. Its underlying principle is that all the body’s functions are inter-dependent and connected by the flow of ‘qi’ (vital energy) around the body. The flow of energy around the body can be disrupted by any number of emotional and physical causes including poor nutrition, stress, infection, old age, physical injury, and emotional trauma such as stress, anxiety or grief. Acupuncture is widely accepted as an effective solution for a range of illnesses and symptoms both as a standalone therapy and alongside conventional medical treatment. What’s more there is a substantial body of evidence to support this. The British Acupuncture Council makes available numerous Research Fact Sheets in order to see how effective acupuncture can be for a variety of conditions. Today, acupuncture’s benefits are widely acknowledged around the world. In the past decade it has begun to feature more prominently in mainstream healthcare in the UK to treat a wide range of medical conditions and symptoms. One of the most popular myths surrounding acupuncture is the size of the needle used in treatment. In fact, research shows that 21% of the British public think an acupuncturist’s needle is as large as that used for an injection. The reality is acupuncture needles are actually the same width as a human hair and some are just 0.13mm in length. Most people might feel a slight tingling sensation when the needles are used, but this certainly does not feel like the pain associated with an injection. It would be advisable to let your doctor know that you are planning to have acupuncture. Although acupuncture treatment may help you reduce or stop some forms of medication, you should never make any changes to your prescribed medication before consulting your doctor. Increasingly women are choosing to have acupuncture to support them through their pregnancy. Most often they will have treatment for morning sickness, tiredness and back pain. If you suspect you are pregnant, then do let your acupuncturist know as your treatment strategy will need to change to support your pregnancy. In order to be registered and insured by the British Acupuncture Council, acupuncturists have to have degree level qualifications and adhere to codes of safe practice and professional conduct. 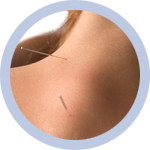 The Council guarantees excellence in training, safe practice and professional conduct so patients are advised to look for a practitioner who has British Acupuncture Council membership. Today 2.3 million acupuncture treatments are carried out each year by British Acupuncture Council members and the therapy is widely accepted as an effective solution for a range of illnesses and symptoms. Two surveys conducted independently of each other and published in the British Medical Journal in 2001 concluded that the risk of a serious adverse reaction to acupuncture is less than 1 in 10,000. This makes acupuncture one of the safest treatments available.